Note: Any R&I and modeling pricing are not reflected in the above pricing matrix. 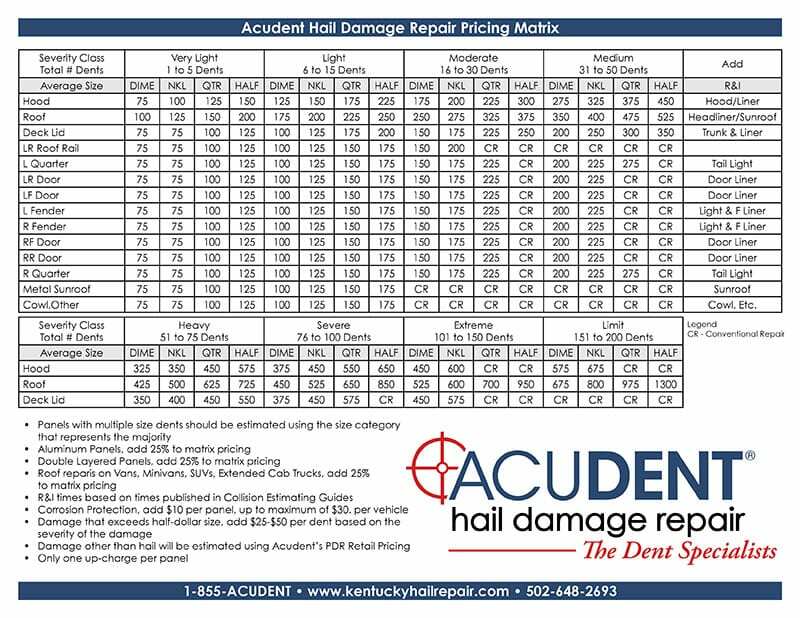 Insurance companies see hail as a natural occurrence that one cannot prevent. Therefore, your insurance should cover your vehicle without any fault to you. This means that your insurance rates should NOT increase should you receive a repair. Please contact your insurance company for more information.